On the night of the passing of our dear Madiba – Nelson Rolihlahla Mandela I was making a speech at the birthday dinner of someone who was turning 60. The person who I will leave unnamed is an outstanding leader of our people who has a passion and drive that is only matched by her caring spirit and intellectual prowess. She comes from a long line of outstanding leaders that stretches back to the 19th century. My speech occurred at around the exact time of Madiba’s passing and I made mention that we are only assured of two things in life – growing old and death. And in death we join our ancestors. I said that our lives in many ways is a preparation for this moment – a period where we have opportunity to leave a legacy that builds on the legacy of those who came before us in the ancestral continuum. The birthday lady, I said, had made her illustrious ancestors proud and could truly say that she had built on their legacy. It was uncanny that at that very moment Madiba was passing to join his ancestors and most certainly had done them proud and added many fold to their legacy. During his memorial today, I thought much about his legacy, the cleansing of the down pouring rain and about the ancestral continuum. It caused me to again visit the arena of my ancestral story. When I was a young boy I was captivated by the story of Saint Martino de Porres who lived over 400 years ago as the son of a slave in Peru. It had a profound effect on the course of my life as I connected with a deep guiding ancestral spirit. I was a troubled child being brought up by a single mother. My father had left us, my mother’s other children were grown and working, and my extended maternal family had been split up by Apartheid because we were a family of diverse roots which manifested differently in our complexions and features. I found myself fostered out to other families as my mother struggled to make ends meet. I was only a child, but a child with many questions and a strong desire to understand and appreciate my diverse roots. I was around 8 years old and over the next 50 years I relentless pursued a path of getting to know my ancestors. My first challenge was that I did not even know my father and was removed from even my living family. My journey over the years took me to libraries, research centres, churches, and graveyards to interviews with people and long searches on the internet. I often went on wild goose chases in the wrong direction. However slowly but surely I put together the jigsaw puzzle pieces and from that a coherent picture began to emerge which explained why I had this strong urge to study slavery. In the course of time I began to understand myself better and my place in society and why I had put so much energy into the national liberation struggle against colonialism and Apartheid. Twenty-five personalities, who were slaves and indigenes in my family tree, each with their own story, emerged to provide a story of rising above adversity which is the heart of a true sense of identity and belonging. This jigsaw picture required me to look at the lineages of my mother’s parents and my father’s parents. On both sides powerful false overlays had been erected and I received very little help in my quest to find the true stories of even the most recent years. But I persevered. It was a worthwhile and liberating journey – a catharsis. Petrus Francois Mellet and Susanna Catharina Steyn are my paternal line great grandparents. They lived on a farm, Lemoenshoek near Barrydale, today sub-divided into six divisions. Their son Pieter Francois Mellet snr is my grandfather and Pieter Francois Mellet jnr is my father. Both have now long passed on. My paternal line great great grandfather is Jacobus Mellet and great great grandmother is Elizabeth Saayman. The lines of both these ancestors uncovered a wealth of connections with my spirit – a spirit in formation. Once I had tracked these personalities I spent equal time trying to find out more about who they were and what were their stories? Luckily for me there has been some great research done in recent times of these people. Three generations down my great great grandmother’s line as per the Zaaiman/Willemse lines we track back another three generations to my ancestor Catharine van Malabar (1637) one of the first slaves with Jan Van Riebeeck at the Cape. She was married to Cornelis Claasz and their daughter Maria Claasen Cornelisz (1678) married Gerrit Willemse whose grandson married into the Saayman line as a direct descendant to my great great grandmother. Four generations down my great great grandmother’s line as per the Zaaiman/Biljon line we track back over two more generations to a locally born slave – Maria van der Kaap (1674) who was the mother of Maria Walter (1700). Maria Walter and Bernardus van Bellion were the parents of Anna van Biljon who married Bartholomeus Zaaiman. Six generations down from my paternal great great grandmother’s line through the Zaaiman line we track back to indigene Khoena lineage via Petronella van Meerhof (1663) the daughter of Kratoa of the Goringhaicona (1642), also known as Eva van Meerhof, the Khoena interpreter who married the Danish surgeon Peter Havgaard (aka van Meerhof) – first Khoena convert to Christianity and first recorded marriage of an indigene and a European at the Cape. Through my great grandmother Susanna Catharina Steyn by way of her father’s line (Hermanus Jacobus Johannes Steyn) he tracks directly back by five generations (through two routes) to Jacobus Steyn the son of freed slave Maria Lozee van der Kaap (1662) who was the daughter of Maria van Bali (1640). Jacobus father is unknown, but the records show that Douwe Gerbrand Steyn who had no male children of his own, formally adopted Jacobus. Further through Hermanus Jacobus Johannes Steyn’s mother (Christina Magdelene Lourens) and via her mother (Jacoba Petronella Swart) this line also goes back four more generations to Catharina van Malabar (1637). Also through Susanna Catharina Steyn via her mother Johanna Louisa van der Vyver and through the Steyl/Volschenk line we again track back to the already mentioned Maria van Bali (1640) via another route. We also track back over five generations to Sara van Graan (1711) , her slave mother – locally born Rebecca van der Kaap (1690) (six generations) and Rebecca’s slave parents Sara van Macassar (1670)and Moses van Makassar (1670) – over seven generations. Susanna Catharina Steyn further tracks five generations through to Johanna Catharina Voortman van der Kaap (1710), (known also as Tol and also as Katje Hottentotin in the Baptismal records). The lineage here is through Maria Steyl (the grandmother of Susanna Catharina Steyn), who was the grand-daughter of Johannes Ernst Volschenk and Susanna Catharina Ziegler whose mother was Susanna Cordier jnr. She was the daughter of Anna Maria Voortman (1727) and Johannes Cordier. Anna Maria Voortman and her sister Susanna each married le Cordier brothers. The other brother Jurgen Cordier and Susanna Voortman feature in my grandmother Elsie Petronella le Cordier’s lineage too. The Voortman sisters were children of a Khoena woman (together with their mother they were baptized in 1747) and a German labourer (Hendrik Voortman). My father’s mother was Elsie Petronella le Cordier. Through grand-mother Elsie’s grandmother, Anna la Grange from whom we can track through her mother Martha Vosloo three more slave lineages. Two of these track through Martha Vosloo’s father Arnoldus Francois Vosloo who is a descendent through his father, Arnoldus Vosloo (1724) to Johannes Vosloo and Gerbrecht Herbst (1702). It is Gerbrecht who was the daughter of Johan Herbst and Lijsbeth Saunders van der Kaap (1659). Lijsbeth was the daughter of the slave Lijsbeth Arabus van Abyssinia (1645) – one of two child princesses given as a gift to van Riebeeck’s wife by a French ship’s Captain. Johannes Vosloo the husband of Gerbrecht was the son of Johan Vosloo and the slave Helena van Malabar (1675). The third track moves through Arnoldus Francois Vosloo’s mother, Anna Catherina Verkouter (1737), who was the daughter of Frans Verkouter (1705) and Maria Block (1703). Maria was the daughter of Darius van Bengal (1677) and Anna Grootheuning van Bengal (1676). Grandmother Elsie Petronella le Cordier traces back over six generations to Johanna Catharina Mauritz (Tol) van der Kaap (1710), a Khoena woman from Tulbagh and a German labourer Hendrik Voortman, through their daughter Susanna Voortman (1728) and her husband Jurgen Cordier. My maternal great grandmother Francina Haddon (1831) was born a slave in the Eastern Cape and in the absence of any details of her parents, her DNA shows that she has a West African lineage some time in her past. She was married to an Englishman William Haddon who had lived for over 60 of his 100 years, at Cala in free Thembuland. They had six children of whom my grandmother was one. My grandmother married another Englishman and after her father died they lost their farm and came to settle in lower Wynberg in the Cape (in Kent Road). After bearing six children my grandmother’s husband abandoned her and returned to England. My paternal grandparents settled in Sterling Street in District Six. My mother lived in neighbouring Woodstock and Salt River. My father and mother both worked in a shoemaking factory and a clothing factory respectively in Woodstock. The culture of District Six, Salt River and Woodstock, the areas where many freed slaves settled also had a profound influence in my life in growing up. The total of 22 slaves and 5 indigene Khoena, in my direct lineage in my family tree as outlined here, and the further 22+ indirect slave linkages through extended family links now provide references for me and my descendants. The places from which my direct slave ancestors came are Bengal, Angola, Malabar, Abyssinia, Makassar and locally born Cape Creole slaves. Indirect family links through great aunts and uncles other slaves came from Sri Lanka, Guinea, Madagascar, Goa, Angola, Japan and Jakarta (Batavia), Boegies. The wealth of cultures from these areas have greatly influenced the culture that we hold dear today. 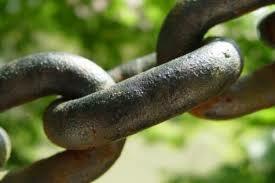 Every day I find out new linkages in this respect. The direct indigene lines are from the Hessequa and the Goringhaicona, and through indirect lineages – the amaXhosa and Griqua. 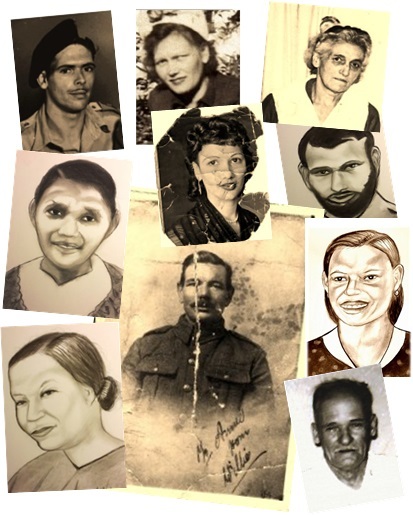 Left to Right: Father -Pieter Francois Mellet jnr; Mother – Annie Haddon Huntley; Aunt – Doll van Rooy; Maternal Great Grandma Francina Haddon; Cousin – Louisa ‘Toekies’ van Rooy; Maternal Great Grandpa William Haddon; Maternal Grandma Mary Anne Haddon; Maternal Grandpa – William Huntley; Paternal Grandma – Elsie Petronella le Cordier; Paternal Grandpa – Pieter Francois Mellet snr. These indigenous cultures also influence my being today and a deep appreciation of these have been inculcated in me over the years through the quality of my mentors and leaders in our national liberation movement. Herein there has been a dynamic relationship between my following the path of national liberation and my following a path toward personal liberation. The ancestral continuum has played itself out in my life and enhanced it. In engaging it there was a strong theme of healing both on the side of the ancestors and on the side of the living. Its an ongoing story. I can recommend that anyone who hears that little voice in themselves, as I did as an 8 year old kid, which says go out and search and embrace your ancestors – should follow that little voice. An enhancing and healing path will emerge. Anna Grootheuning van Bengal (1676).